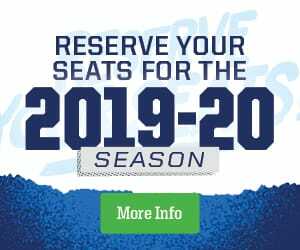 Winnipeg, April 3, 2019 – The Manitoba Moose are proud to announce that Peter Stoykewych has been named the team’s winner of the IOA/American Specialty AHL Man of the Year award for his outstanding contributions to the Winnipeg community during the 2018-19 season. Stoykewych is in his fourth AHL season, all spent with his hometown Manitoba Moose. The Winnipegger is serving his first season as the club’s captain, becoming the second homegrown player in franchise history to captain the team. Along with his contributions to the team on the ice, Stoykewych is a fixture as part of the team’s efforts in the community. Stoykewych organized and took part in multiple post-game meet and greets with various organizations. This included meeting with students from his former school in Winnipeg (Dec. 15), a one-on-one chat with a fan living with autism (Jan. 12), and families from the Children’s Wish Foundation (Jan. 20). The Moose captain was recently involved in the production of a public service announcement with the Winnipeg Police and CAA promoting safety for school patrols. He also participated in shooting a video promoting diversity ahead of the club’s Pride Day game. Throughout the season, Stoykewych featured as a columnist in ‘Game On’ magazine, giving young hockey players insight into life playing the game professionally. In addition to his solo efforts, Stoykewych was a consistent participant in team community functions. Stoykewych and some teammates visited one of the St.Amant Foundation’s autism early learning classrooms on Oct. 22 to interact with children and learn how the classrooms prepare students to join the public school system. On Nov. 4, Stoykewych joined the team on a stop at Winnipeg’s Assiniboine Park Zoo to sign autographs and chat with fans in support of the Journey to Churchill exhibit and Polar Bear Rescue and Care Team. Days later, he was helping to raise funds for the True North Youth Foundation at the annual Winnipeg Jets Gala Dinner. 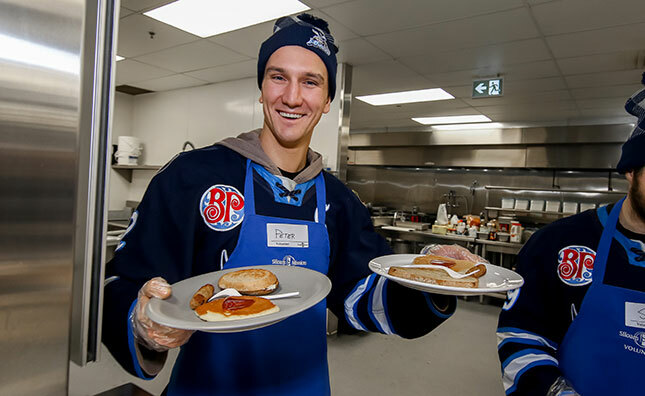 On December 12, Stoykewych and the Moose prepared food and served patrons at Siloam Mission, a downtown outreach centre. Later in the week he was skating with a minor hockey team during their practice as part of the club’s Community Practice Series. Stoykewych is now one of 31 finalists for the AHL’s 2018-19 Yanick Dupre Memorial Award, honoring the overall IOA/American Specialty AHL Man of the Year. The league award is named after the former Hershey Bears forward and AHL All-Star who died in 1997 following a 16-month battle with leukemia. The winner of the Yanick Dupre Memorial Award will be announced by the American Hockey League at a later date.